Cut the vegetable in rather big bite size pieces. 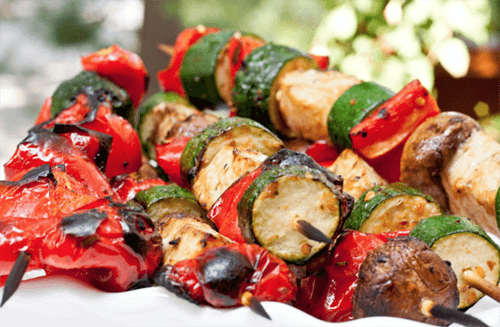 Simply stick them on the stick and put them under the grill or on the bbq. I wouldn’t put olive oil since the bbq can get really hot and the oil will just burn. By not adding oil you’ll get that nice smokey flavour!